Spring Is Here: Is Your Worksite Equipment Ready For It? Home > Blog > Spring Is Here: Is Your Worksite Equipment Ready For It? For most of us, spring is all about flowers blooming, birds chirping and the crack of the bat as baseball players young and old return to the ball field. But for contractors, spring is a season of motors humming, chains rattling and saws whirring as it's time to return to the worksite. With the economy having improved substantially over the last several years, contractors - general and otherwise - are anticipating plenty of work at jobs large and small, requiring all manner of tools and heavy machinery to enhance productivity. That being said, there's one thing that could bring the uptick in activity to a grinding halt - failure to properly prepare equipment for the tasks at hand. After a cold, wet winter in many parts of the country, worksites have been vacated of job crews until Mother Nature cooperates. However, because machinery is often large and incapable of storing indoors, tools frequently get left out in the elements. The harshness of the weather takes its toll. Paul Anderson, Selective Insurance vice president and construction practice leader, noted how basic maintenance can spare contractors from disaster. "So often we see claims that could be avoided by doing some simple preventative maintenance," Anderson explained. "We recently had a claim where an expensive drill rig went up in flames when a hydraulic line burst and ignited a fire. A routine check of the hydraulic line would have revealed that the line needed attention and could have avoided a costly loss, which also resulted in some serious down time until a suitable replacement could be found. These are the types of things we want to remind our contractor clients about: Don't put your operations at risk by forgetting to service your equipment." 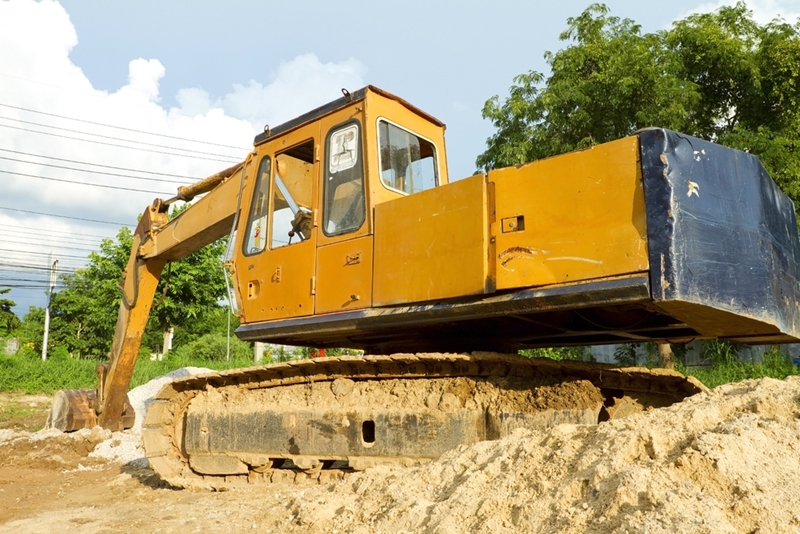 When was the last time your worksite excavator has been serviced? Perform routine equipment checks, making sure all working parts are in operational shape. Inventory and label all equipment. Develop maintenance logs that track that last time tasks were performed, like oil changes and parts greased. Assess the need for new purchases if equipment has aged and ought to be replaced. Ensure professional licenses are current and up to date, including continuing educational requirements. Review your insurance policy with your local agent to confirm you have the appropriate type and amount of coverage. Effective maintenance isn't just about safeguarding your equipment's reliability; it's also about protecting your physical well-being, as well as that of your employees. In 2014, the most recent year data is available, nearly 4,700 workers were killed while on the job, according to the Occupational Safety & Health Administration. That's the equivalent of 90 deaths per week. Tragically, many of these fatalities could have been avoided had safety protocols been taken more seriously. "Making a living shouldn't have to cost you your life," said Dr. David Michaels, labor secretary at OSHA. "Workplace fatalities, injuries, and illnesses are preventable. Safe jobs happen because employers make the choice to fulfill their responsibilities and protect their workers."